SupraGel™ is a newly formulated cross-linked sterile amorphous hydrogel containing complex carbohydrates, CMC, propylene glycol and ultra pure water. 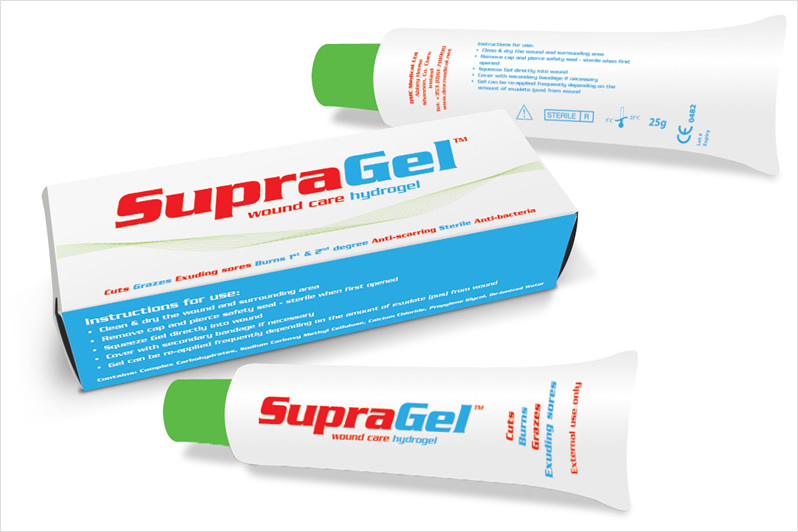 Dependent on wound conditions, SupraGel™ has the ability to rehydrate dry necrotic tissue thus providing rapid wound debridement in addition to absorbing slough and excess exudates. Due to its fully cross-linked nature, no maceration occurs and SupraGel™ maintains its physical integrity throughout its use.